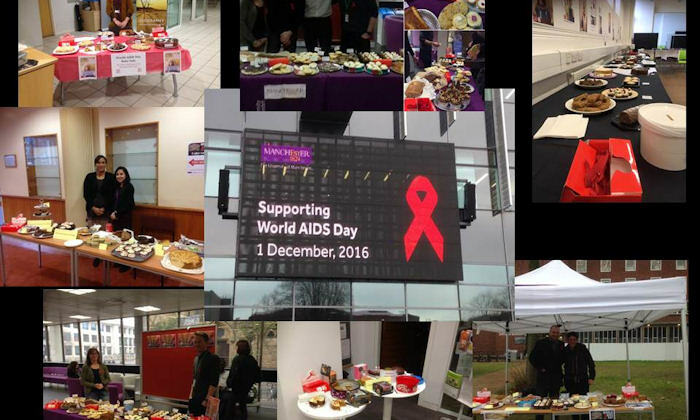 On Thursday, 1 December, ALLOUT, the University’s LGBT Staff Network, organised a number of bake sales in nine locations across campus in order to raise money for the National AIDS Trust. They also sold red ribbons and took one-off donations. By the end of the day, they had raised more than £1,700, smashing the 2015 total of £973. ALLOUT would like to thank all those who staffed the stalls, the bakers, the buyers and the communicators who contributed to reaching this amazing total. Plans are already in motion for 2017 to see if the total can be pushed even higher.